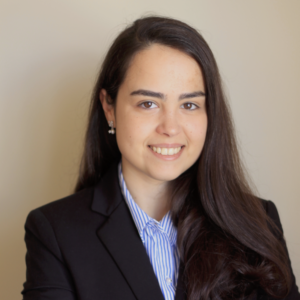 Joana Santos is a Cleanroom Research Engineer in Micro and Nanofabrication Department at International Iberian Nanotechnology Laboratory (INL). She has a BSc in Electronics Engineering and an MSc in Bioengineering and Nanosystems from Instituto Superior Técnico (IST). She has worked in micro and nanotechnology research at Instituto de Engenharia de Sistemas e Computadores Microsistemas e Nanotecnologias (INESC-MN), Lisbon, where she completed her master thesis on “Methodologies for monolithic integration and 3D TSV microfabrication for chip integration with CMOS”. As a researcher fellow at INESC-MN, she was responsible for the development of new integration methods based on silicon wet etch envisaging the integration with spintronic thin film devices.